In the years prior to World War I, George Holt Thomas was an active supporter of aviation development and a promoter of its military potential. The pace of development saw him employing a young and talented aircraft designer by the name of Geoffrey de Havilland, and the aircraft they produced went on to make history. 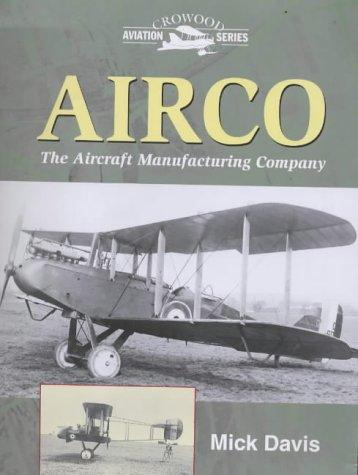 In this book, the author tells the story of Airco, the Aircraft Manufacturing Company, and of its range of products including the DH4 and DH9A designs.